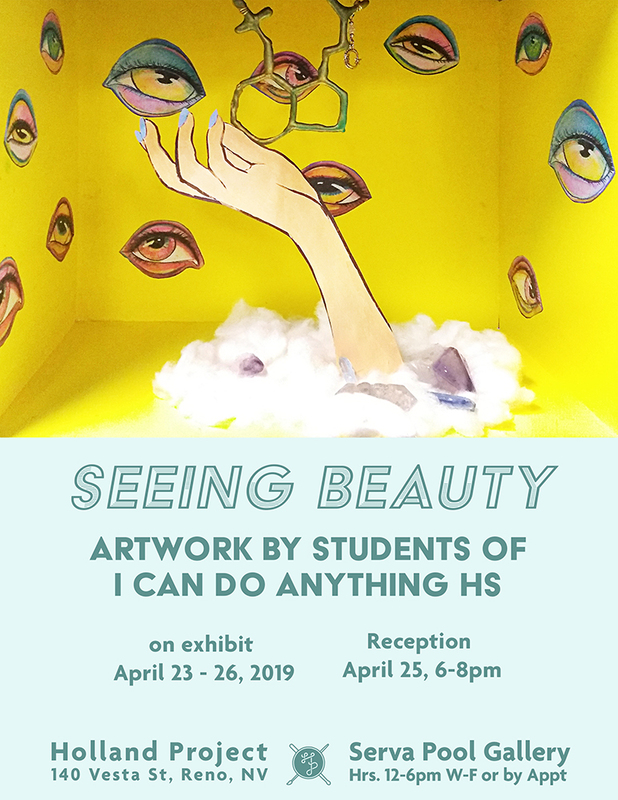 The students from I Can Do Anything Charter High School are taking over the Serva Pool Gallery from April 23rd – 26th to showcase all the wonderful artwork they have been creating throughout their time at ICDA. Come show some support and check out their exhibition, Seeing Beauty, during the reception on April 25th from 6-8pm. The Serva Pool Gallery is open Wed-Fri from 12-6pm or by appointment by contacting Alisha at 775.448.6500 or emailing alisha@hollandreno.org.